Founded in 2001, TECHCENTIAL SDN BHD is now becoming one of the leading Wooden Bedroom Furniture Manufacturers and Exporters in Malaysia. It is situated in a famous furniture manufacturing Muar city. We are proud to be the first Malaysia furniture manufacturing company listed in Taiwan stock exchange in 2018. We are the winner of the “International Eagles” and one of Malaysia’s 100 Excellent Enterprises awarded by Golden Eagle Award in 2017. Our products are made of solid rubber wood and veneers. With our skillful and experienced research and development team, we are able to offer the market with a great variety of choices as well as innovative and ergonomic designs. Our export market is 95% concentrating on North America. We are specialized in OEM and ODM concepts of product development for our customers. 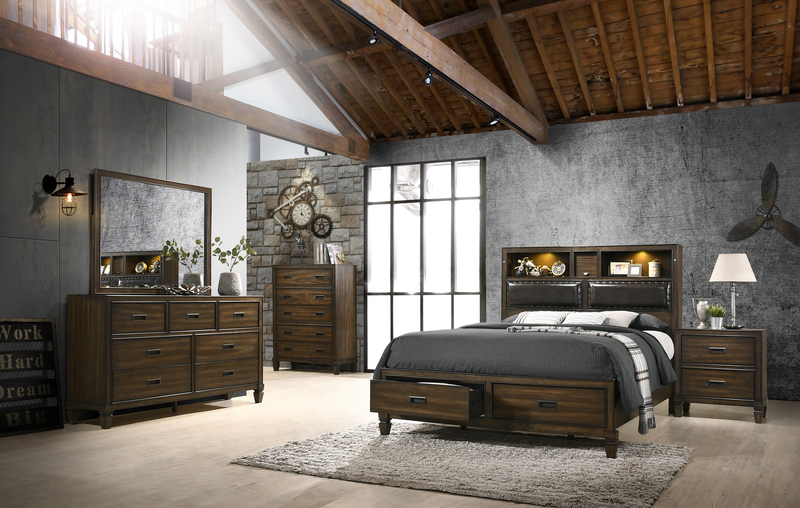 Our wooden bedroom sets are supplied to some of the top reputable retailers and importes in North America. By implementing the ERP system into our internal control platform, our management teams are able to deliver the accurate customers’ orders on time. We always emphasize on superior quality as our core principal in the production line. With a present production capacity of around 350 containers monthly, and nearly 600 skillful workforces plus 13 areas of fully funded production facilities. We strongly believe and confident that our products possess the competitive advantage in market and able to meet customers’expectation, satisfaction, and long-term trust. I like listening to music. I like to lay in bed. Combine the two and then I like to listen to music in bed. Speaker bed is a fabulous new model that we are all very excited about. Through 18 years’ experience in exporting to USA market, and several furniture distributors in top list has been our regular customers for years. Well know of consumer’s needs and product safety requirement, making us a perfect business partner to cooperate with. Consumer has always wanted their money paying for good quality products. To ensure this, each of the finished product is well quality checked by us before delivery out of factory. We always place the customer’s need and quality aspects as priority. We friendly staff is well-trained and ready to assist you with any of your needs. If you have questions about your order, delivery times, or simply would like to inquire about any of or catalog items don’t hesitate to contact us by phone or email. Our friendly research and development team is highly knowledgeable when it comes to interior design. We would be happy to contribute from our expertise to make sure our furniture fits your home the best possible way. We design our product and its components strictly following US law regulation to make sure that it is perfectly safe for you to use. Your safety and experience throughout using our product are always our greatest concern. We are one of the reputable manufacturer companies in Malaysia. We offer a diverse and stylish selection of bedroom furniture. Most important, we assure the best value in merchandise and the finest service to our customers.